Know how to get things done with less effort, less stress and in less time, so you are more valuable and can earn more. In this world of high-speed computers and ultra-fast communication, antiquated administrative systems can’t meet the demand. So how can you keep up? Faster facilities is one solution. But machines are not the total answer. Behind every machine is a real, live person. Behind every successful business or activity is a person who knows at least something about organizing and planning. The Effective Time Management Course shows you how to get more done in less time, using the fundamentals of efficiency. Many people have no clue how to do it—this course shows you how. Why some people work hard but don’t get much done, yet others can accomplish a lot with far less effort. “This course is so very much more than the name implies. Sure, you can definitely learn to manage time better. I did. But I can also sort out a great many barriers to production in any business or sphere of activity. Great course!” R.S. 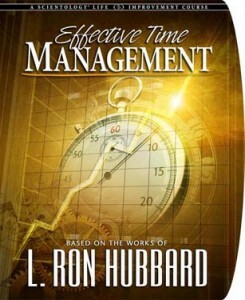 “I did not expect I would find such a wealth of useful information in a course on time management. I feel like I have learned how to run my entire life. The course pointed out the specific areas where I failed before and gave me the tools to ensure I succeed in the future. This has restored my confidence in my ability to succeed and returned to me the pride in my past successes.” E.K. “What a wonderful, basic, powerful course—simple to duplicate and understand. The exercises help you confront aspects of life and use the information right away.” D.S. “This course was awesome. It covers the key things that you actually do need to effectively manage time. It’s great—it is easy to grasp and with drills for application.” M.M. Note: All our courses are delivered at our San Jose location. The courses are self-paced and can be started at any time. Length of course is 3 days part time.